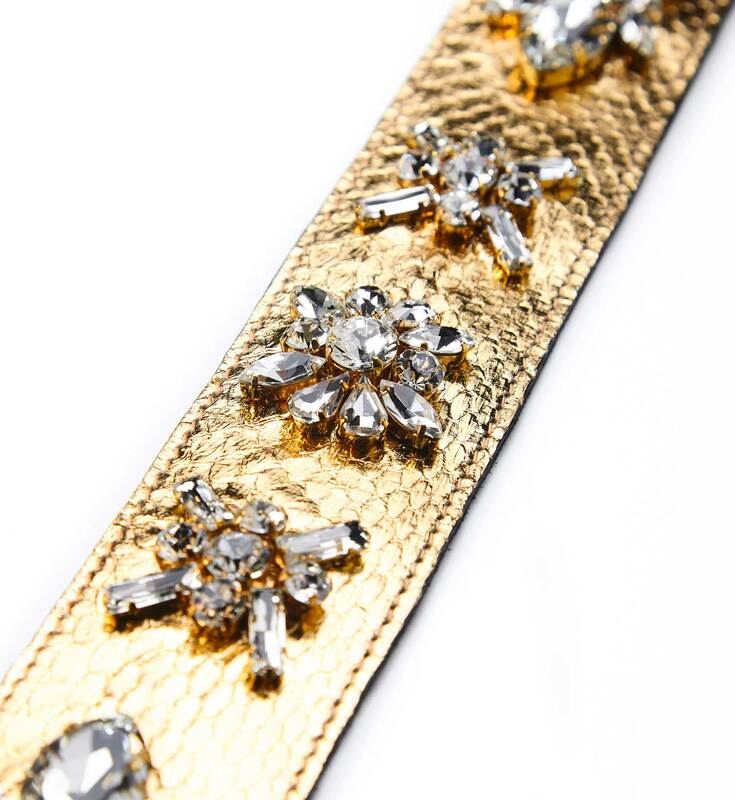 GEDEBE’s ‘My Precious’ strap will make any handbag special and add a fresh touch to your look. 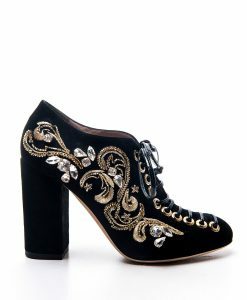 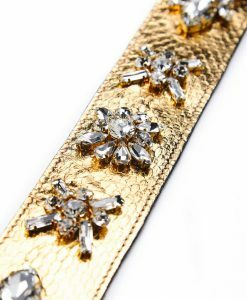 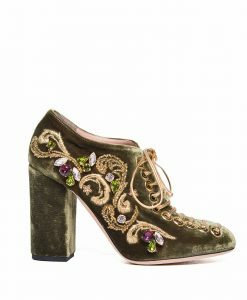 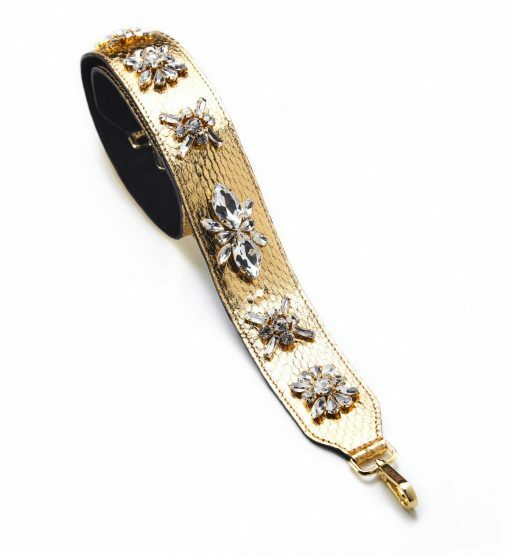 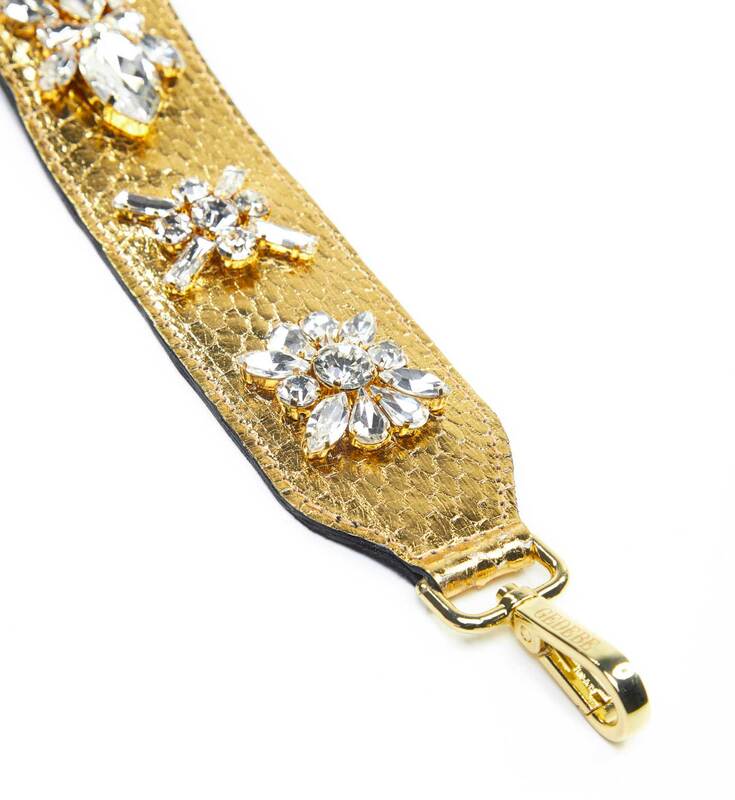 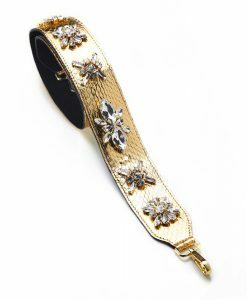 This sparkling gold snake leather accessory has been meticulously crafted in Italy and is embellished with a range of brand’s iconic crystals. 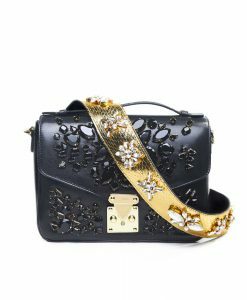 Attach yours to one of your favorite bags using the gold lobster clasp fastenings.